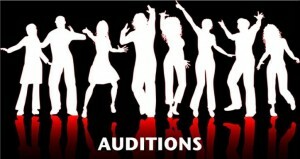 be returned to The Playhouse before auditions on April 2nd. find us on Facebook or follow us on Twitter @LittleTheater. sister-in-law, the former movie star Olivia St. Claire, Joan introduces Sandy as her psychiatrist. life appears to be a series of catastrophes, creates chaos and confusion wherever she goes. dominate her in some strange way. was her gardener, who began working for her after her husband died. hesitate to show to everyone. He has a rough, “New Jersey” accent. asserts her authority upon everyone. life. He does not seem to take his situation very seriously. come join us for a wonderful theatrical experience. We look forward to seeing you at auditions!